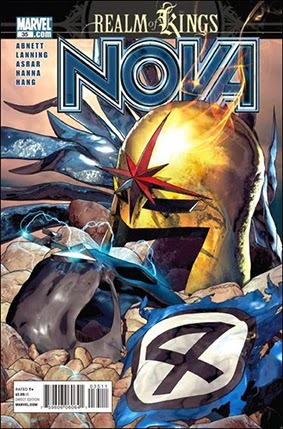 two eternal forces meet in shattering conflict-and Nova is caught right in the middle! With a fabulous cast of guest stars-including Mr. Fantastic, Black Bolt and some jaw-dropping foes-the time-slipping saga of the Sphinx comes to its galaxy-shaking conclusion! Written by DAN ABNETT and ANDY LANNING. Art by MAHMUD A. ASRAR. Cover by BRANDON PETERSON.